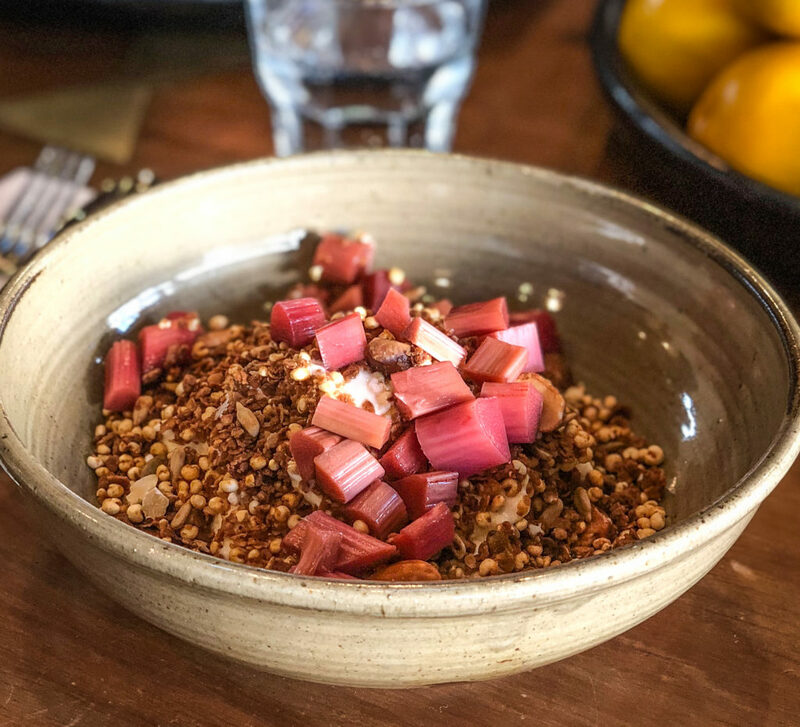 ﻿ MACADAMIA & MILLET GRANOLA from Ortolana - I AM Co.
Ortolana is a contemporary bistro set within an elegant, sun-filled conservatory in the Pavilions at Britomart. The name Ortolana means ‘Market Gardener’ in Italian and is symbolic of our use of the best seasonal, local produce from our own farm and from other local growers. Ortolana offers an all-day, European-inspired menu. Preheat oven to 155C fan force. Mix together dry ingredients with honey mixture. Mix until evenly incorporated. Line four baking trays with baking paper, spread mixture evenly between the trays. Bake in oven for approx 1 hour, stirring every 10-15mins so it colours evenly. When golden reduce the oven temperature to 100c and continue to bake until dry to the touch, approx 20mins. Once cool stir the granola to break up & store in an airtight container.